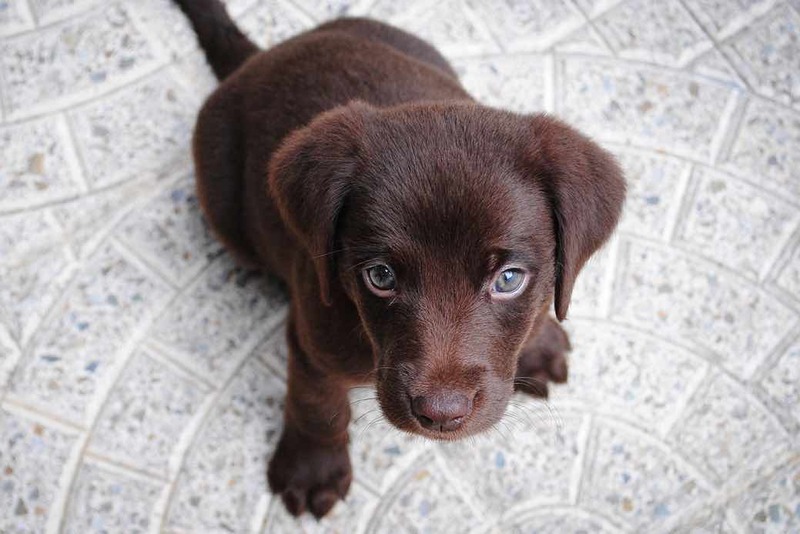 Thinking of buying or adopting a Labrador Retriever? 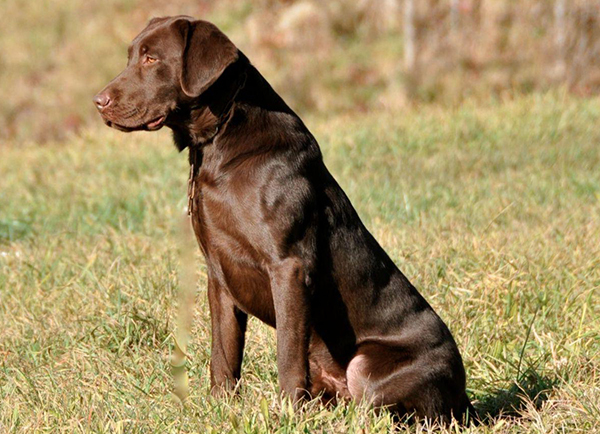 The Labrador Retriever is a large breed of gundog and is the most popular breed of dog (by registered ownership) both in the United Kingdom and in the United States. It is famous for its water-resistant coat, webbed feet and “otter tail” that gives the breed its excellent swimming ability. It is strongly built, slightly longer than it is tall, characterized by a broad skull, broad and deep chest and ribs and strong hindquarters. It is very muscular and has a wide muzzle, wide nose with well develop nostrils, medium sized brown or hazel eyes that offers an intelligent and good tempered expression and pendant ears that hangs close to the head and set rather far back. A strong and powerful neck that sits on a long, sloping shoulder provides sufficient bearing to the large head. It has well boned and straight forelegs with equally broad hindquarters supported by round, compact, well padded feet. 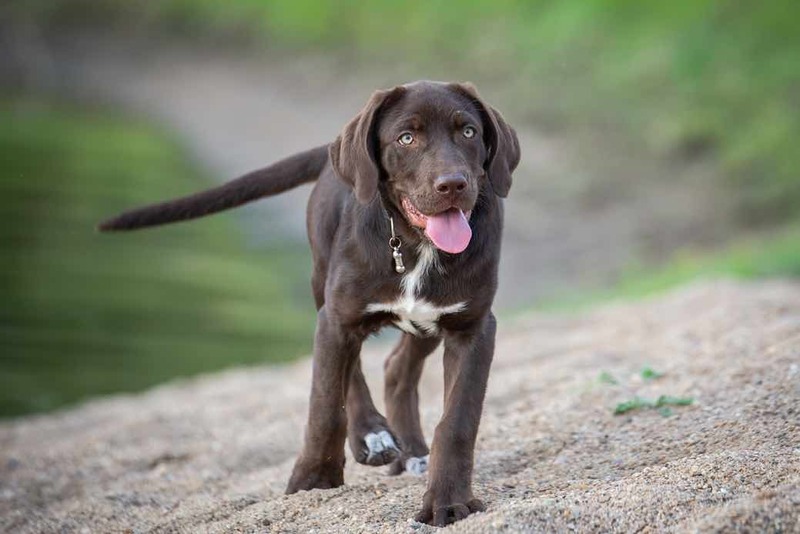 The tail is very thick at the base which gradually tapers towards the tip and is covered with thick, short coat giving a rounded look often referred to as an “otter tail.” The weather-proof coat of the Labrador Retriever is short and dense without wave or feathering. It comes in solid black, yellow (light cream to red fox) or liver/chocolate colour. The Labrador Retriever was developed on the island of Newfoundland which is now part of the province of Newfoundland and Labrador, Canada. 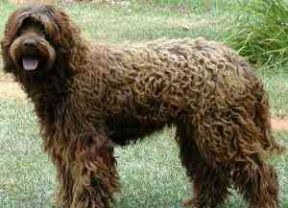 Although it developed there, it is not indigenous to the place but is considered one of the oldest among the modern breeds that resulted from a mix of several retrievers and water dogs. 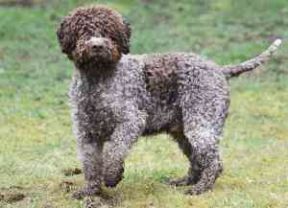 It is thought to have descended from the St. John’s Water Dog (an extinct breed and is thought to be a crossbreed between the black St. Hubert’s hound from France, some working water dogs from Portugal and old European pointing dogs indigenous to the area) and the Newfoundland dog, which is closely related to the Labrador. The Labrador was extensively used by fishermen to haul nets to the shore, swimming in the water and grabbing the net then gently pulling it to shore. The name was given by the Earl of Malmesbury and other dog breeders in England to differentiate it from the Newfoundland breed. 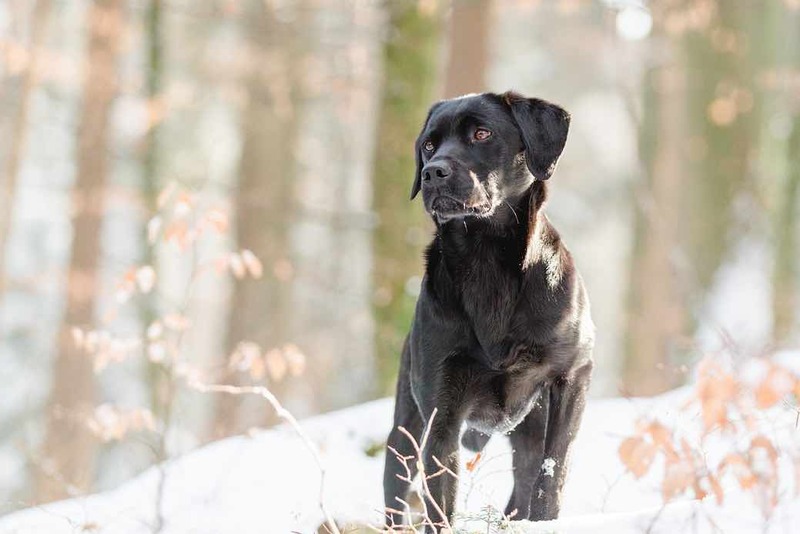 The first written reference to the Labrador can be found in “Instructions to Young Sportsmen” inked in 1814, around the same time that the Labrador gained a reputation for upland game retrieval in England. The first recorded yellow Labrador was born in 1899 and was named Ben of Hyde, although black Labradors are more popular then. It is a highly spirited breed known for its good temper, adaptability, an excellent nose and a keen love of water. It is not aggressive nor does it show undue timidity. 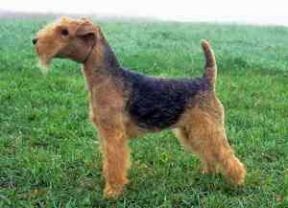 It is also a slow-maturing dog; typically taking about three years before it becomes fully mature, mentally speaking. Physically however, this dog will usually take one year to reach full adult height. This mental progression makes the dog significantly energetic which is often misinterpreted as hyperactivity. It is typically reserved around strangers and will announce house guests by barking which makes the Labrador an excellent watchdog. 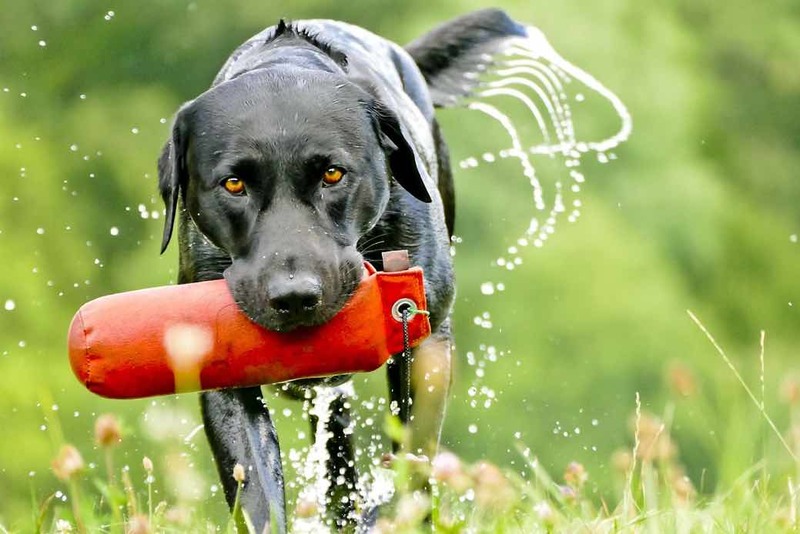 Because the Labrador Retriever is a courageous, fun-loving and boisterous breed it needs firm handling at times to make sure that this does not get out of hand. The smooth, short coat of the Labrador is quite easy to groom. Regular brushing with a firm bristle brush is sufficient, bathing only when absolutely necessary to avoid depleting the natural oil protection of the skin. The Labrador is a heavy eater and must be fed several small meals rather than one large meal to avoid becoming overweight. Like most large breeds, it is not recommended to take the dog for an exercise immediately after meal. Foods that contain fish, wheat, corn, and poultry are ideal base diet for this breed. Limit the amount of beef as much as possible. Also, the Golden Retriever should be given a diet with the best sources of fatty acids (fish-, linseed-, corn- or wheat germ oil) in order to keep the coat in excellent condition. This lab responds well to praise and positive attention. This breed requires constant family attention. Although exercise requirement is medium, the Labrador must be given sufficient exercise or it may become bored and develop destructive behaviour. Daily long walks are ideal exercise routines as well as swimming, retrieving and sessions of play in an open area. This active breed is not recommended or suitable for an apartment dwelling and will typically do best in a house with an average size yard.